Does cell phone radiation effect us more than radiation from cell towers? "Public Health SOS: The Shadow Side of the Wireless Revolution" - by Prof. Magda Havas of Canada and environmental activist and management consultant to environmental change agents, and Camilla Rees, founder of www.ElectromagneticHealth.org, is a fast download and a great read about how wireless technology radiation and electromagnetic factors are emerging as a major public health issue globally, creating electrical sensitivity and being linked to illnesses of many kinds. 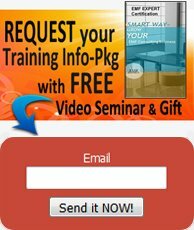 Read this ebook and learn what the independent science shows regarding electromagnetic radiation-emitting technologies and how they are affecting your health, what you can do to create EMF safety and how you can help get Congress to pay attention to this important issue affecting humans, animals and nature. 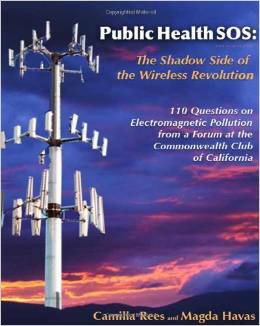 We recommend this highly rated book to obtain a wider understanding of this important issue, from the political wranglings that removed the ability of state and local governments to challenge placement of wireless masts (towers), to the pseudoscience of so-called cell phone "protection" devices. 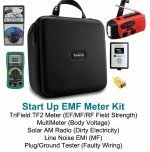 As well as to obtain lots of practical tips on reducing EMF exposure of which cell phone radiation is only a part, recommended ways on measuring EMF and a host of resources for further information. This 120 page ebook was compiled from 110 Key Questions (questions about concerns still pertinent today), that were posed to Magda and Camilla by the audience when they presented at The Commonwealth Club of California, the nations leading public affairs forum. As one reviewer writes, "For those who are concerned about the spread of electromagnetic radiation-emitting technologies; for those who have been wondering at the protests against them in Europe or the manifestos of warning by international scientists and governments; for those whose health has already been affected; for those who are concerned about the loss of sovereignty or democracy over the corporate perpetration into our societies of these technologies -- this is the book you have been waiting for". Ms. Camilla Rees is dedicated to serving the transformation of health care so that it better meets patient needs and to raising consumer awareness of hidden, or unacknowledged, drivers of decreasing health levels and increasing health care costs. Dr. Magda Havas, PhD is Assoc. Professor of Environmental & Resource Studies at Trent University in Canada and an internationally recognized expert in the biological effects of environmental contaminants, including radiofrequency radiation, cell phone radiation, electromagnetic fields, dirty electricity and ground current.